Cleveland area dental implants dentist Joseph G Marcius, D.D.S. can help you eat, speak, smile and laugh again with confidence. Don't let your worries about the cost of dental implants keep you from considering this beautiful and permanent alternative to dentures. At Chapel Hill Dental Care we're committed to working with you to find affordable options. Schedule a consultation today by calling our friendly staff at (330) 633-7141 or by filling out our online form. And please be sure to contact Chapel Hill Dental Care if you have any questions. We'll be happy to answer them! 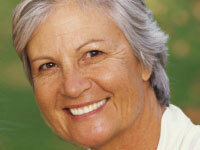 If you're looking for quality implant dentistry in Canton you don't need to look any further. Joseph G Marcius, D.D.S., is the implant dentist that Canton residents trust to deliver experienced and professional dental care. Mouthwash can not only freshen your breath, but kill germs and bacteria that lead to cavities. Try to select a formula with fluoride. Many contain alcohol, which dries up the protective saliva in your mouth, so it's best avoided. While mouthwash a wonderful dental product, however, please remember that it cannot replace regular flossing and brushing. Remember, your dental health is our first concern at Chapel Hill Dental Care. 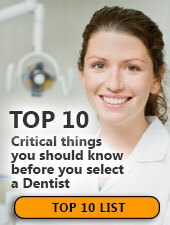 Please do not hesitate to call our office at (855) 777-5327 with your dental care questions, or to schedule a check-up!